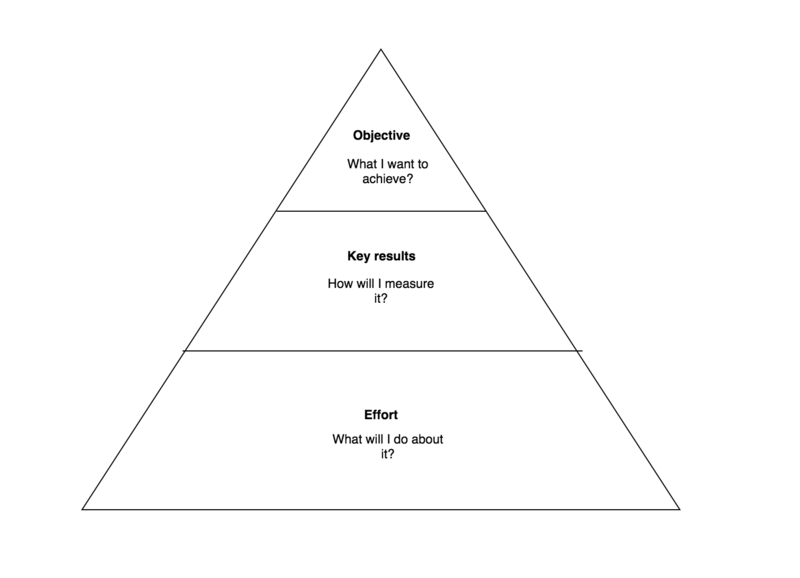 At Gtmhub, we think of OKRs as a pyramid with three main components. How will I measure my achievement? Should be quantitative. OKR should have 3-5 key results in order to fully capture the intention of the objective. What will I do about achieving my objectives? This is typical tasks. Usually have states such as "to do", "in progress" and "done". There may be as many tasks as necessary to achieve the objective. How to create tasks in Gtmhub? You can easily create an attach tasks to objectives in Gtmhub when you are creating or editing an objective. Gtmhub will automatically count the number of tasks, as well as the number of completed tasks. As you keep working on tasks, you can easily mark them as being in progress or being completed. Gtmhub also provides a direct integration with JIRA. In that scenario you can define your tasks in JIRA and assign them to your OKRs. It is also possible to mix Gtmhub tasks with JIRA tasks. You can install a free JIRA plugin from Atlassian Marketplace for Jira Cloud.